Hermann Gottlieb Mannhardt, the successor of his uncle, Pastor Jakob Mannhardt, in the office of elder in the Danzig Mennonite Church, was born 14 January 1855 on the family estate of Hanerau in Holstein. His father, Hermann Gottlieb Mannhardt, the youngest son of Johann Wilhelm Mannhardt, was manager of forests on the estate. His mother, Bertha Weihe, was the daughter of a pastor in Westphalia. His intellectual development was influenced by his residence with his uncle Jakob and his daily association with his cousin Wilhelm Mannhardt during the last years of his attendance at the Gymnasium (1871-1875). He studied theology at the universities of Strasbourg, Berlin, and Kiel 1875-1878, adopting a mildly liberal theological position. Because of a dislike for the state church system he prepared himself for teaching and then taught German and history at the girls' school conducted by his cousin Louise Mannhardt in Danzig until 1900. After the autumn of 1878 he frequently took the place of his aged uncle in the pulpit of the church. He became a member of the church, and on 30 November 1879 he was ordained a minister by his uncle, and later also elder. H. G. Mannhardt served his congregation nearly 48 years, with lasting results. On 20 October 1880 he married Elise Dyck of Einlage. H. G. Mannhardt's work in his congregation was fraught with blessing. His sermons, born of personal faith, intellectually clear, his earnest baptismal instruction, his personal contacts with many of the members, his regular pastoral visits, and his readiness to help both as pastor and as friend, bound him closely with his congregation. During the decades of his service the church grew; members of the rural churches moved into the city, and members of other denominations joined his church. A new parsonage was built in 1884, corporation rights were acquired in 1887 on the basis of a constitution drafted by him, a new church hospital was erected in 1902, a new songbook was issued in 1908—which unfortunately suffers from a too rationalistic text and melodic weakness—and the organ was rebuilt in 1914. High points of his period of service were the celebration of the quadricentennial of Menno Simons' birth on 6 November 1892, for which he published a widely distributed Festschrift; the important eighth general conference of the German Conference, the Vereinigung der Mennonitengemeinden im deutschen Reich, which met in his church on 28-30 April 1908; and the celebration of the three hundred fiftieth anniversary of the congregation at Danzig as well as the centennial of the church building on 14 September 1919, for which he wrote the thoroughly authenticated, lively book, Die Danziger Mennonitengemeinde. Ihre Entstehung und ihre Geschichte von 1569-1919. In 1905 he published and distributed to his members and to others who attended his church Predigten und Reden aus 25 jähriger Amtszeit. Beyond the limits of his own congregation H. G. Mannhardt served German Mennonitism with his knowledge, experience, and energetic action. He always took an active part in the conferences of the West Prussian Mennonites, sometimes as secretary, later as treasurer of the mission board, and as a member of the committee of elders. He was equally interested in the formation of a union of the Mennonites of Germany, to be based on the Gospel of Jesus Christ and the common heritage. The visit of Pastor Samuel Cramer of Enschede, Holland, in the summer of 1884 gave the impetus for the founding of the Vereinigung in 1886. The initial step was taken by the Danzig, Hamburg-Altona, and Krefeld congregations. 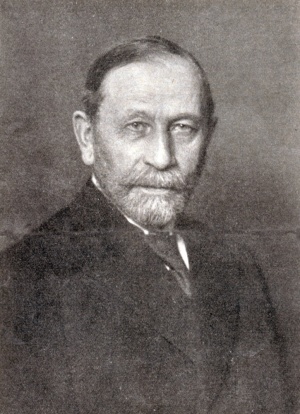 Until his death Mannhardt served as the farsighted, competent moderator of its conferences, as a member of the curatorium, as assistant moderator and secretary, on the publication committee, as pastor of the students, and as special speaker at the celebration of the twenty-fifth anniversary of the organization of the Vereinigung in Krefeld on 3 May 1911. He published an excellent account of the creation of the Vereinigung in his Jahrbuch of 1888, and a series of annual reports until after the beginning of World War I. The rise of the Berlin Mennonite Church is closely associated with that of the Vereinigung. Pastor Mannhardt gave this organization a boost by delivering an address at the first meeting held to prepare for it on 3 October 1884, in Berlin. Several times every year he held services, administered baptism, and made pastoral visits in the Berlin congregation. On a journey to the conference of the Palatine and Hessian Mennonites he became acquainted with the brotherhood in South Germany in Kaiserslautern in 1906. He also took part in the centennial of the Algemene Doopsgezinde Sociëteit (Dutch General Conference) in Amsterdam in September 1911. His pen he also devoted to the interests of the Mennonite Church. In the promotion of Mennonite publication he saw a means of strengthening Mennonite group consciousness. From 1 January 1888 to his death in July 1927, he was an associate editor of the Mennonitische Blatter; during his lifetime he wrote for it many articles on historical and literary subjects, and on a wide variety of questions relating to Mennonite church life. To the Christlicher Gemeindekalender he contributed historical articles and two original stories. The publication of the Mennonitisches Lexikon he greeted with pleasure and wrote for it several articles on the West Prussian and Danzig Mennonites. Of his longer works mention should be made of his Jahrbuch der Mennoniten-Gemeinden in Ost- und Westpreussen (1883) and his Jahrbuch der altevangelischen Taufgesinnten oder Mennoniten (1888). Articles on Mennonite statistics in various countries and on the origin of the Vereinigung give these yearbooks their special value. In addition to his manifold service to his church and to Mennonitism in general, H. G. Mannhardt made many public appearances in Danzig, giving addresses at various celebrations and theological and literary lectures; for many years he directed the "Literaria," a scholarly literary club in Danzig. He retained his physical and mental vigor until a few days before his death. When he died on 16 July 1927, his congregation, German Mennonitism, and many of his fellow citizens thought with honor and affection of this man, characterized by a living faith and moral earnestness as well as great intellectual gifts, yet withal retaining modesty and simplicity of character. Hege, Christian and Christian Neff. Mennonitisches Lexikon, 4 vols. Frankfurt & Weierhof: Hege; Karlsruhe: Schneider, 1913-1967: v. III, 16-18. Mannhardt, H. G. Die Danziger Mennonitengemeinde. Ihre Entstehung und ihre Geschichte von 1569-1919. Danzig, 1919. Mennonitische Blätter (1927): No. 9, 73-80. Göttner, Erich. "Mannhardt, Hermann Gottlieb (1855-1927)." Global Anabaptist Mennonite Encyclopedia Online. 1957. Web. 18 Apr 2019. http://gameo.org/index.php?title=Mannhardt,_Hermann_Gottlieb_(1855-1927)&oldid=145841. Göttner, Erich. (1957). Mannhardt, Hermann Gottlieb (1855-1927). Global Anabaptist Mennonite Encyclopedia Online. Retrieved 18 April 2019, from http://gameo.org/index.php?title=Mannhardt,_Hermann_Gottlieb_(1855-1927)&oldid=145841. Adapted by permission of Herald Press, Harrisonburg, Virginia, from Mennonite Encyclopedia, Vol. 3, pp. 468-469. All rights reserved.